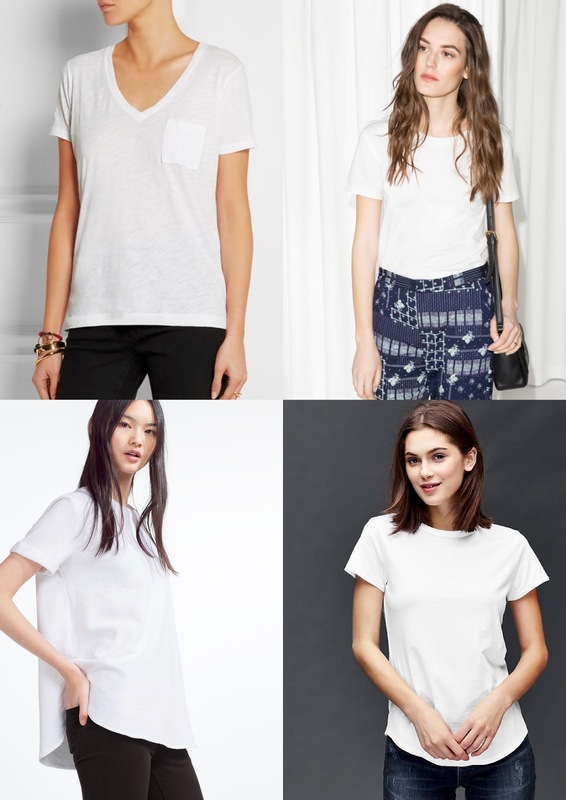 One of my favourite essentials to wear is a simple white tee shirt. Yes it's basic, unfussy and unexciting but it's a life saver in your wardrobe and will save you time on those days you have nothing to wear. 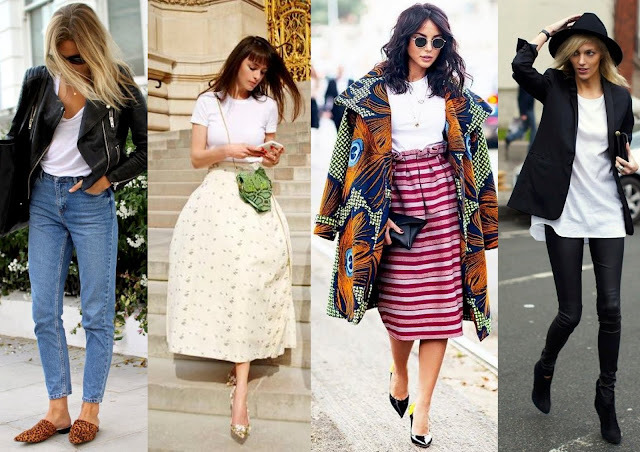 Not only can you wear one to work (check post on workwear essentials), you can wear it with just about anything (Inspirations to follow). 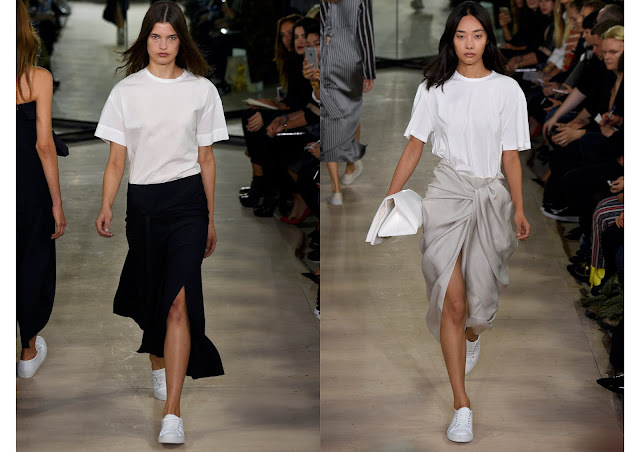 Spring 2016 ready to wear collection from Joseph was all about monochrome essentials and the white t-shirt was one of them. The white t-shirt can come across effortless but at the same time, it can be stylish. I'm always on the hunt for a good fit tee-shirt, you can never have too many in my opinion, but sometimes the simplest things can be the hardest to find, so I have selected a few of my favourites below. 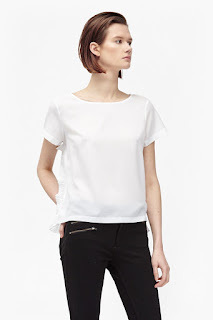 If you're looking for a bit of interest to your white tee, try this one from French Connection, it's plain on the front but has a pleated back hem and pleated sides too. Now for some looks from myself and Pinterest.